Inspired by the popular Radio Four show, we take into account film lovers and what they’d need if they ever ended up on an island with only a Beach Ball for company, an ice skate for a tool and an un-opened package they need to deliver. What eight films would you simply have to play on your waterproof, solar powered blu-ray device? We’ve given you some rules though to help our castaways shape their choices. Episode 2 is with Giles Logan, Editor of Birmingham Wire and Brum Cinema Addicts. 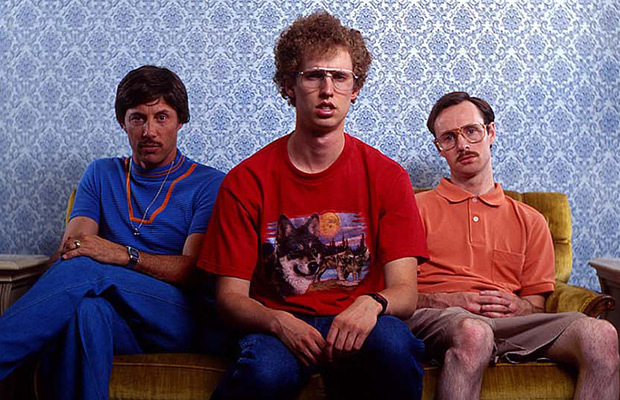 Napoleon Dynamite. This is such a perfect film. So hard to get the right balance of humour and storytelling in ‘quirky’ films and as I rule I usually hate them. Not a lot really happens, but it doesn’t happen so well if you see what I mean? There’s not a bad bone in the film, even the school jocks are likeable. I love every second; the stunning scenery, the cool soundtrack, every character is delightfully off kilter and the final scene with Napoleon and Deb playing ball always makes me cry. It does have a strong personal resonance as my son who passed away in 2011 loved it. Satantango. I’m actually desperate to see this and have been for years. I have a pile of films which are my ‘watch next’ movies and it’s been in that mound of discs forever. I love Bela Tarr but want to watch it in one sitting without interruption or distraction, finding a 432 minute window is not very easy. Laughing Gravy. 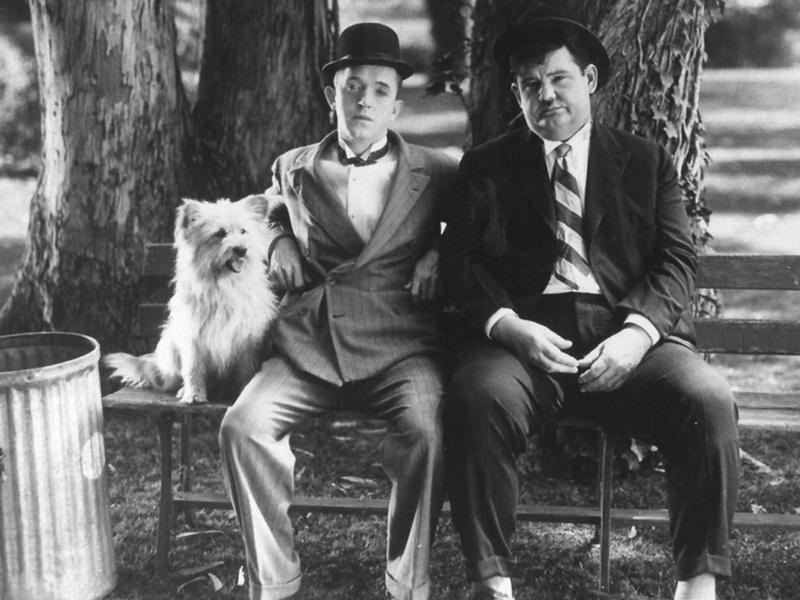 I always default to Laurel and Hardy when I need a lift. The 21 disc box set is such a treasure chest I’d love to take them all but have narrowed it down to Laughing Gravy. It’s such a perfect L&H film. Two decent and unfortunate men always trying to get by and do the right thing and always thwarted by the cruel vagaries of fate and life. There’s such beautiful innocence about them and no matter what befalls them, they pick themselves up, dust off their hats and get on with it. Particularly poignant as in this film Stan is given a way out of his difficult circumstances to a life of great wealth and privilege but only on the condition he dumps Ollie. A great lesson in friendship and loyalty, when the chips are down you don’t just walk away, that is for the weak willed. Last Temptation of Christ. I’ve tried hard to like this because apparently it’s a classic but I just find it silly and overbearingly dull. Also I just can’t stop thinking about Life of Brian when I watch it which doesn’t help. I find films with ‘wise’ character’s in annoying, all that ‘he is the chosen one’ (see Matrix) cobblers. I know Jesus should possibly be taken more seriously because he’s like well, the messiah and stuff, but I find him irritating. 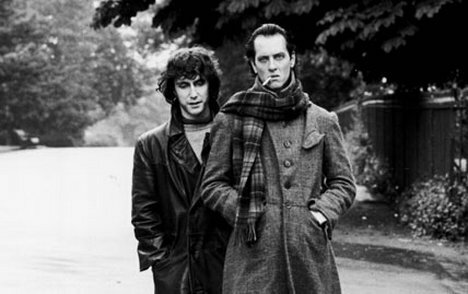 Withnail and I. What a film? Quintessentially English and I love that the rest of the world will be mystified by the whole thing. Hilariously potent dialogue and characters with each line crafted to pure perfection. Must be an actor’s dream to have a script like this. It’s not just drunken high jinks though, beneath the raucous behaviour is a subtly moving story about growing up. Another film with an ending that will get the old tear ducts pumping. If… I was a teenage anarchist, no really. Lindsay Anderson’s film really connected with me in a big way. Films were more than entertainment, they could energise, agitate, educate and send you to the barricades. Malcolm McDowell’s Mick Travis was an anarchist too and whilst I never had to put up with buggery, fags and elitism in a public school, Travis’ battle with the system and the incredible final sequence resonated with me in a big way. I love the anarchic way the film is shot too, with random black and white sequences appearing throughout giving the whole film an edgy dangerous feel. Faust (Jan Svankmajer) When TV was good you’d get films like this all the time on BBC2, nowadays there’s a horrible over saturation of absolute rubbish. I randomly came across this one evening and have loved it ever since, all his film in fact but this was the first one I saw. Utterly chaotic mix of puppetry, stop motion and live action that is jaw droppingly mental throughout. Svankmajer creates beautiful otherworldliness in all his films where nonsense makes sense. El Topo. The daddy of the exploitation film. Jodorowsky is untouchable when it comes to creating surreal and bizarre worlds that unsettle and disgust in equal measure. There’s a singular ugly beauty to his artful vision. 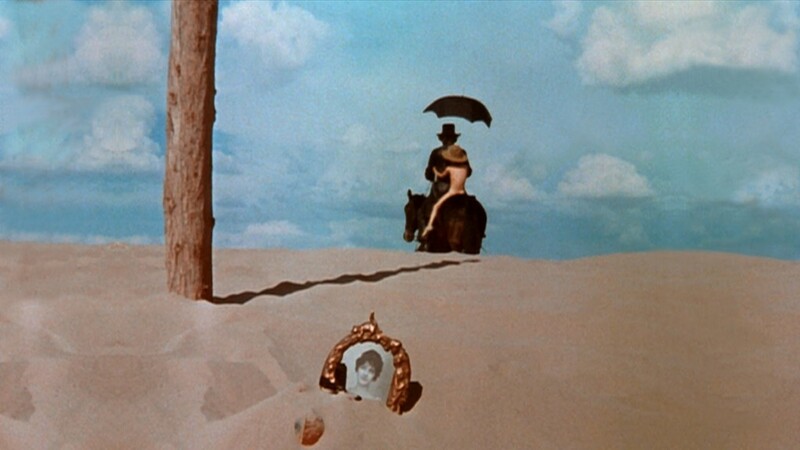 There is no other film maker like him and there is no other film like El Topo. Bridget Jones. I had the unfortunate experience of having to sit through this shoddy piece of crap with a girlfriend. I also had to pay a new release premium surcharge for the privilege. Horrible from start to finish, a ridiculously stupid storyline, vapid unsympathetic characters that made me wish it would turn into a Friday the 13th film and Jason would disembowel them all, an irritating you should laugh because it’s true thread aimed cynically at women, ‘it’s funny because I have periods too’. Bridget even goes to Glastonbury and she’s so like wacky and stuff, the vomit reflex usually reserved for hangovers haunted me throughout. Worst of all the cinema was packed and everyone was laughing, I really am out of kilter with this world.